After having no trips and wanders for weeks, I thought I had already lost my sanity. Boredom had caused this sort of craziness that somehow made me converse with myself. My friends and I responded to the call of nature once again. 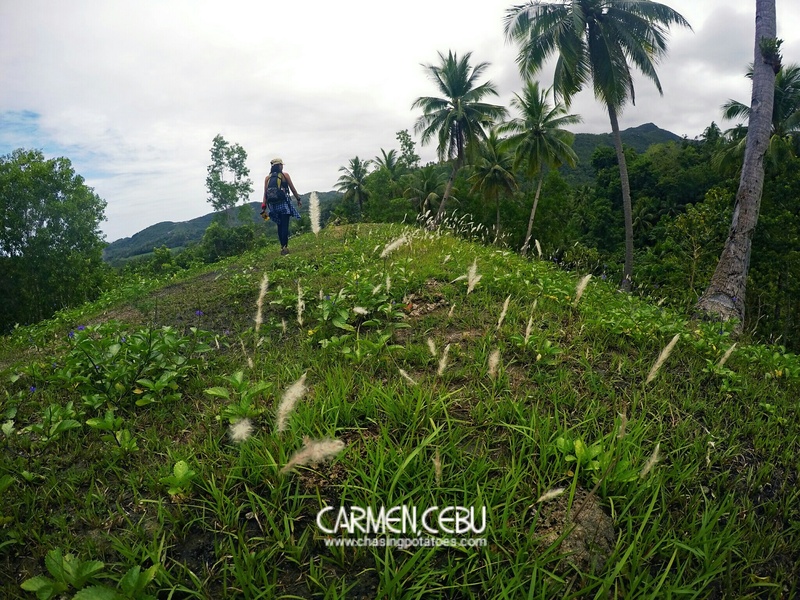 This time we hiked in the northern part of Cebu specifically in Carmen, Cebu. Uhmmm well, technically it was not really in Carmen because the endpoint was the boundary of three towns namely, Carmen, Danao and Tuburan. 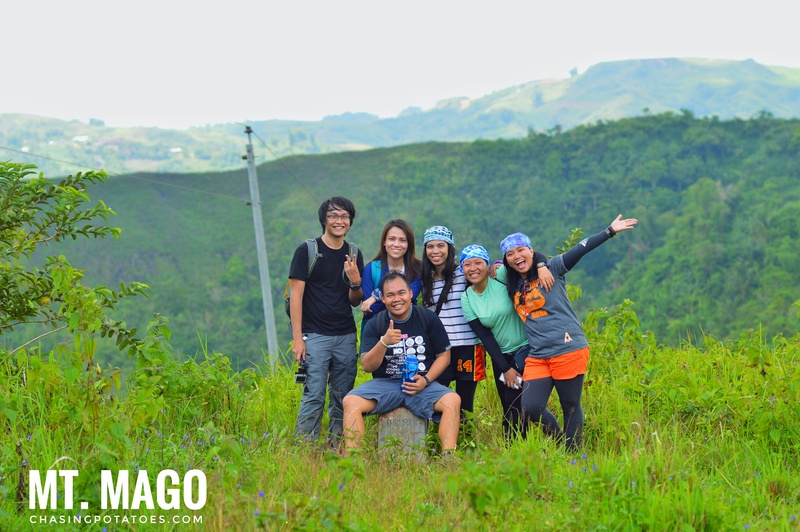 My friends and I met at Sun Gold, just across SM Cebu. We rode in a jeepney bound to Carmen. After almost a couple of hours, we disembarked at the town market of Carmen. Tip No. 1 We chose to take a jeepney in going to Carmen, but it’s also possible to ride in a bus at the North Bus Terminal. 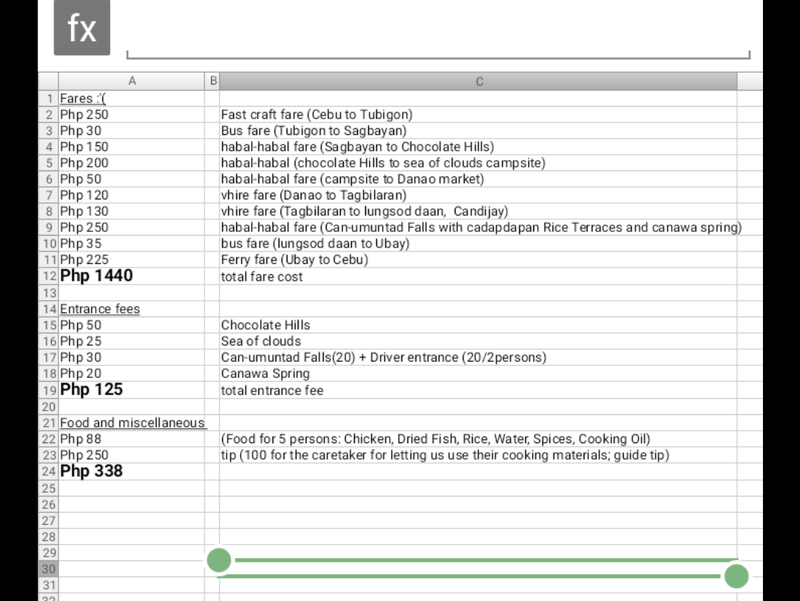 Jeepney fare is Php 40.00. Bus fare ( Aircon) is Php 60.00. Plan your trip early to maximize your trip. 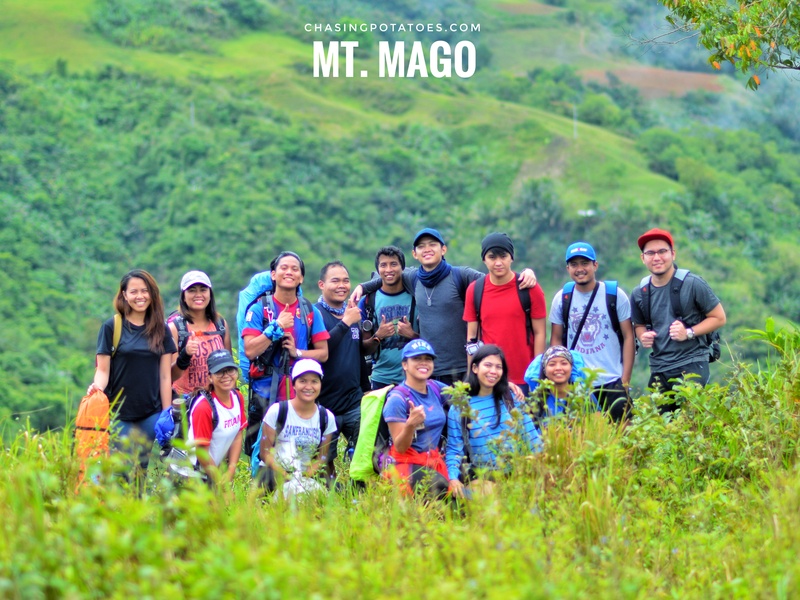 Before looking for habal-habal drivers, we first went inside the market and bought essential things to bring for this hiking venture like food and trail snack. Then we chartered habal-habals that gave us a ride to Brgy. Santican. I personally enjoyed our habal-habal ride. At first, it was a smooth ride, but later on it became rough and uphill. It was fun not because of the thrill but because of the scenery that surrounded the road. It was so beautiful that we asked the habal-habal drivers to stop for a while so we could take some snaps. We really admired viewing this amazing geographic landscape. Just look at the happy faces of my friends. Finally our mountain-view craving was satisfied. Haha! Tip No. 2 Look for habal-habal drivers who are not opportunistic and are familiar with the road to Brgy Santican. In our case, the drivers who weren’t quite familiar with the road had difficulty maneuvering on the rough road. (Though we were able to arrive safely, it’s still better to be safe than sorry.) We negotiated and came with the price of P100.00 fare. The habal-habal ride took us almost 30 minutes. It was that distant. Prepare yourself for the weather. Wear proper attire and gear to avoid the sun’s hottest rays or waterproof yourself and your things if it rains. Our drop-off point was the sari-sari store in Brgy Santican. 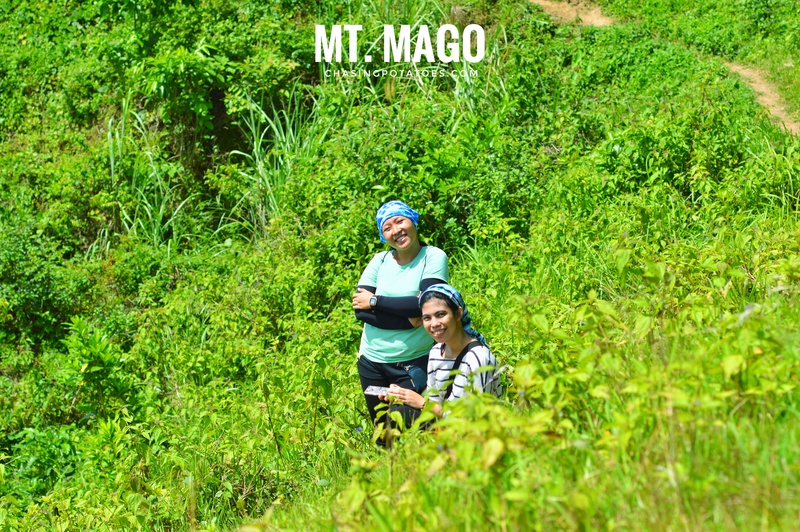 We searched for a local guide who would take us to Mt. 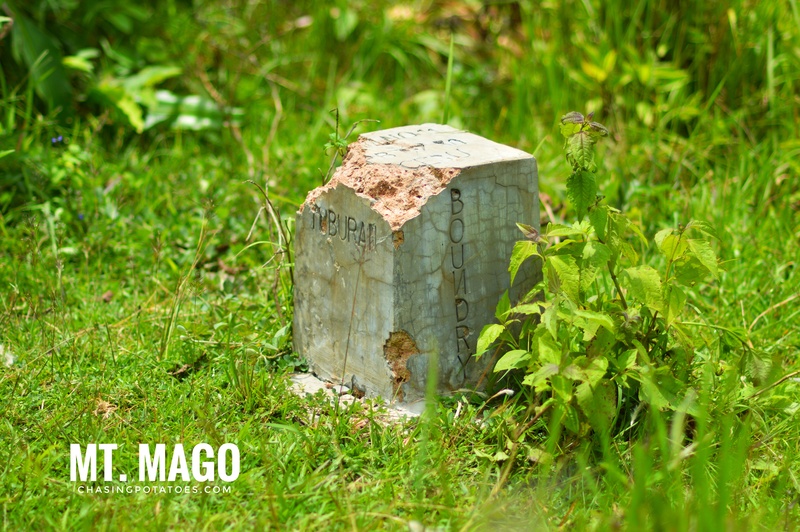 Mago. Fortunately there were locals in the area and one of them agreed to guide us to Mt. Mago. After looking for a guide, make sure you register your name in their Barangay hall. Then we started our hike. Nevertheless my group understood me and even my guide became an instant porter. He helped carry my bag. Thank you so much, Kuya. Huhuhu! What I love about the trail in going to Mt. Mago were these rolling hills. The sight was so beautiful that it resembled the wallpaper of Microsoft windows, right?. Hahaha! Despite the sun hottest glow, I felt like I was trudging into the gates of heaven. 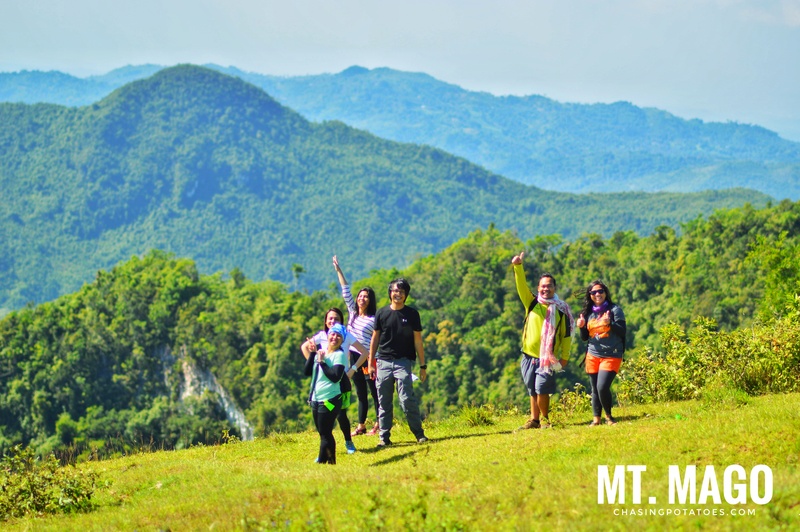 We were fortunate enough to witness the green hues that surrounded us because during dry season, the colors would be brown and dry. Sharing here some of my favorite photos with my darling hues that channel freshness and verdant scenes. The trail going to the boundary. 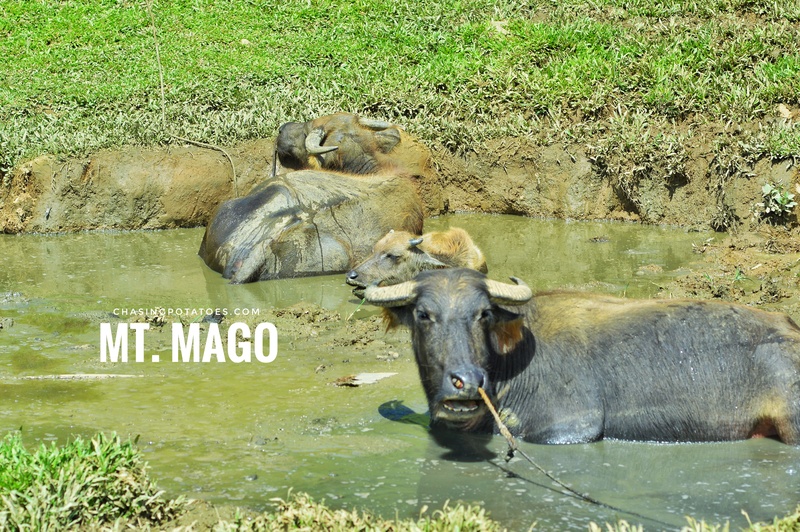 Carabaos mooing and cooling themselves in their mud pool. IN LESS THAN AN HOUR (more than an hour if you’re slow like me, ahah) we reached the endpoint of our hike. That’s how easy the trek was. It wasn’t that far, the boundary point was just near. Without anything more to say, here are our photos as evidence that we have reached the endpoint of our hike. Haha! That mandatory kind of group photo, stepping on the boundary sign. Aside from the mountains that surround Mt. 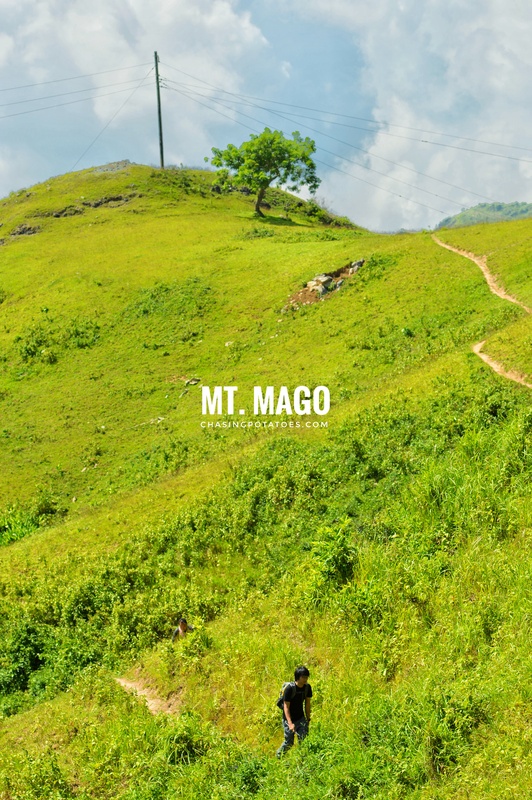 Mago, the summit delivers a simple beauty. 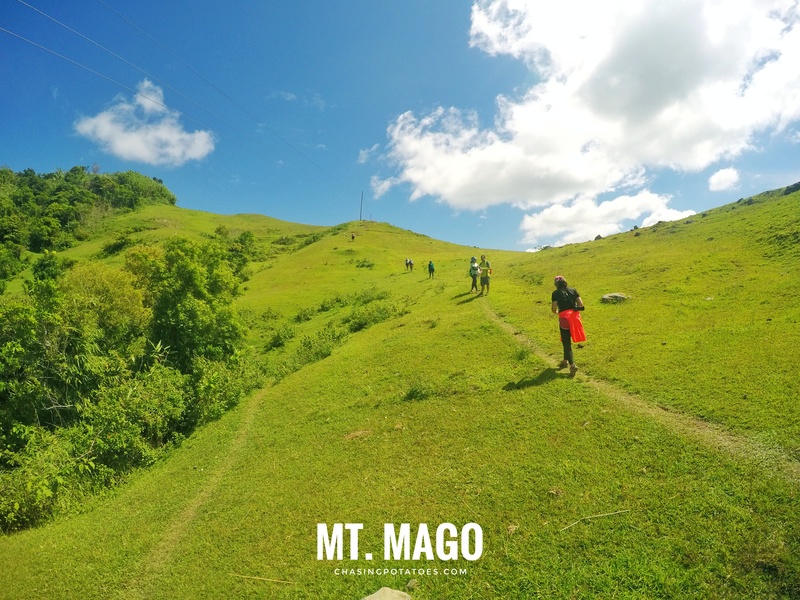 With a lone tree atop the peak, the scenery may not showcase something grand but it offers an unspoiled and crisp atmosphere. Tip No. 3 After eating, we made sure no trashes were left behind because of “LNT” Leave No Trace policy. Mt. Mago had one of the cleanest trails I’ve ever gone to. So let us keep it that way. 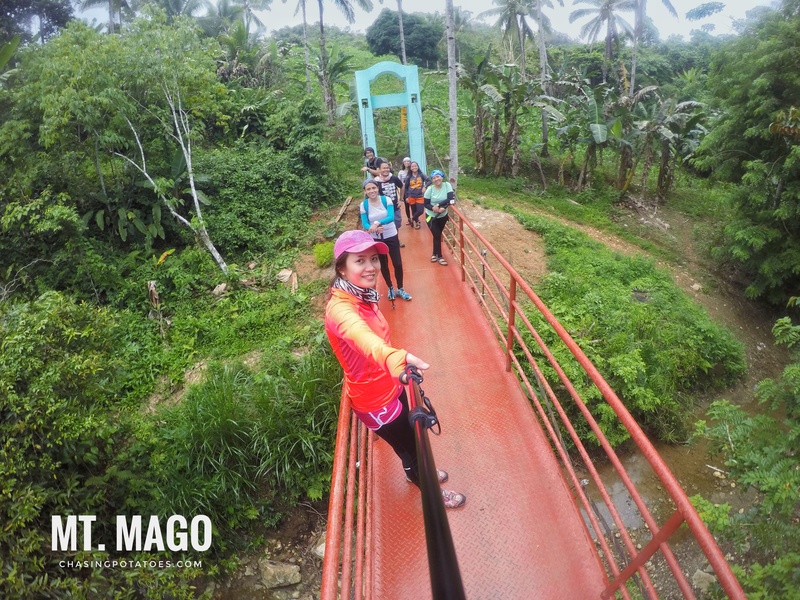 We went on a different trail in going back to the sari-sari store (the starting point) . Dark clouds started to gather, fog began to envelope the background and the temperature dropped signifying cold weather and my favorite view of the landscape appeared. The sudden change of the weather made beautiful scenes which made me marvel more about God’s creations. In going back to the starting point, I took this snap along the trail where this bridge is located. Reaching this bridge means that we have almost completed the trek. Thanks, Mt. 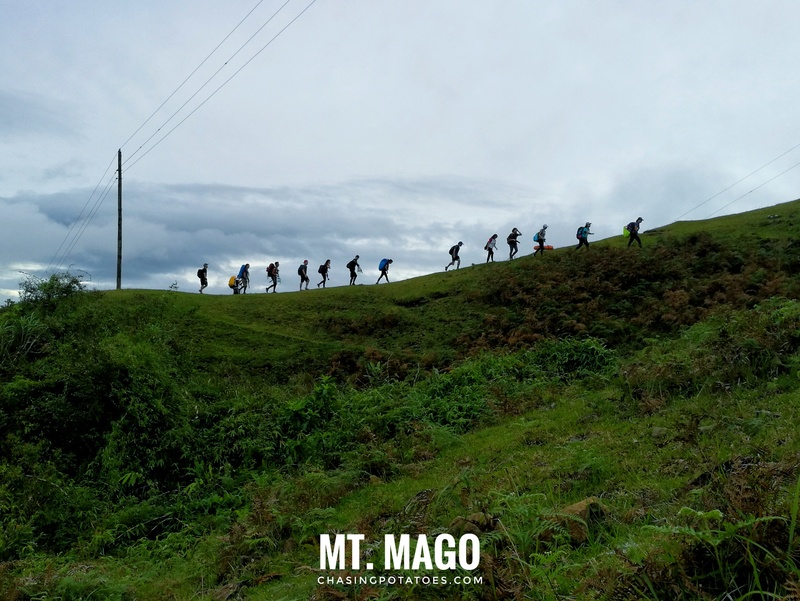 Mago, we had a splendid hiking time after the hiatus in outdoor activities. Tip No. 4 The hike would consume only 3 hours more or less. 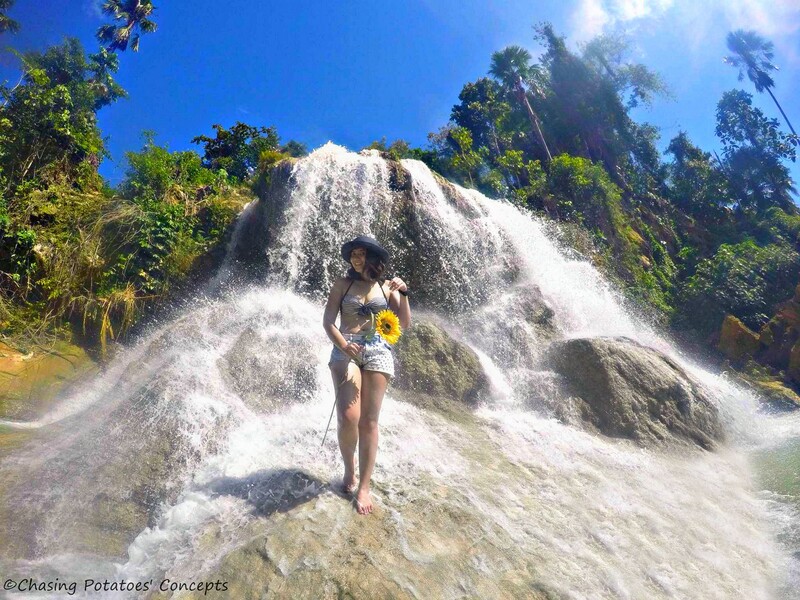 If you crave for more adventures and scenery, you can venture on other activities in Carmen like having a side trip at Maingitngit Falls. Technically this is a narrative of my adventure on a different day from our recent Mt. 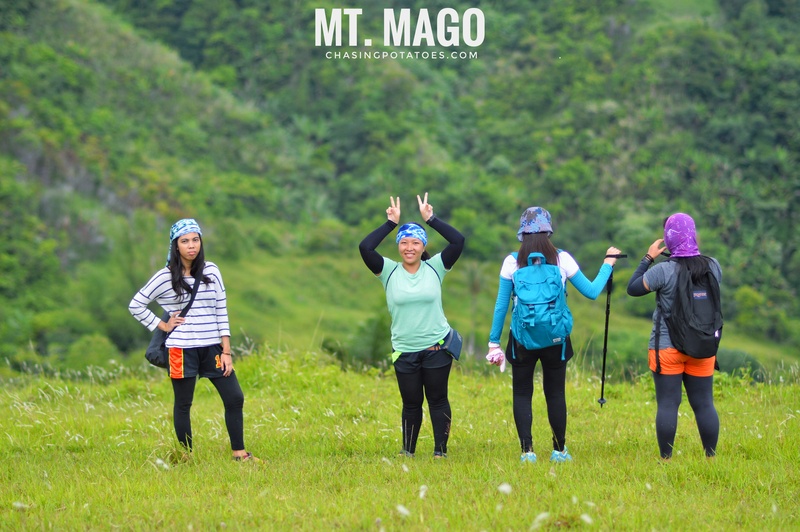 Mago venture with friends. 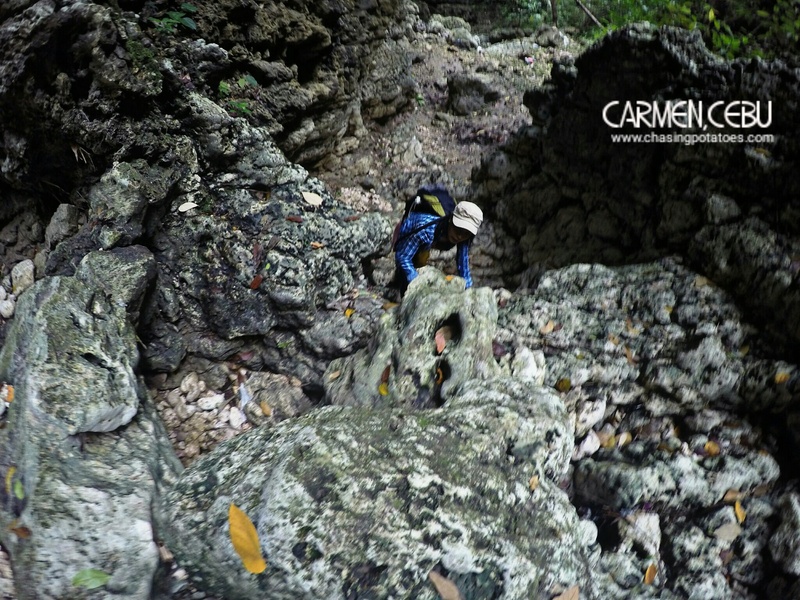 But you can do this venture after the boundary climb to continue your other activities in Carmen for a whole day tour. 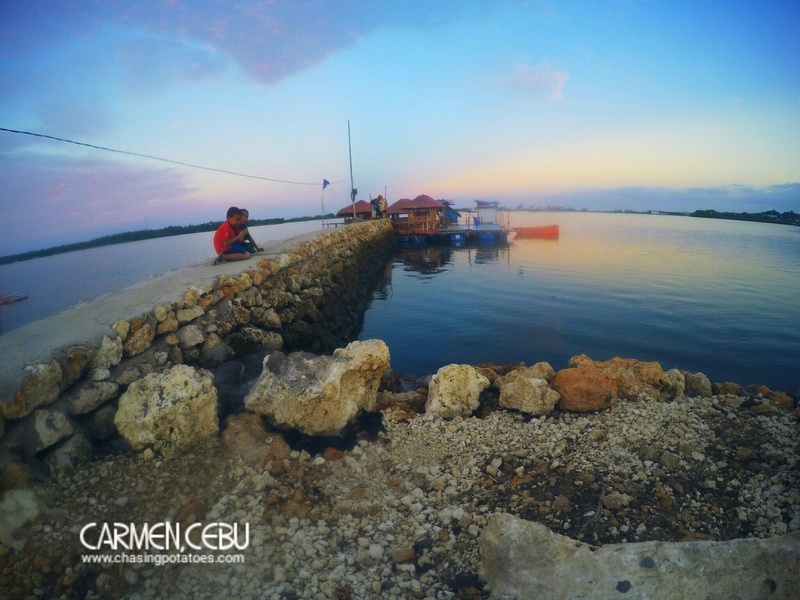 I just love to share this speck of Carmen’s awesome beauty and of what the northern part of Cebu offers. This picture was taken a year ago. 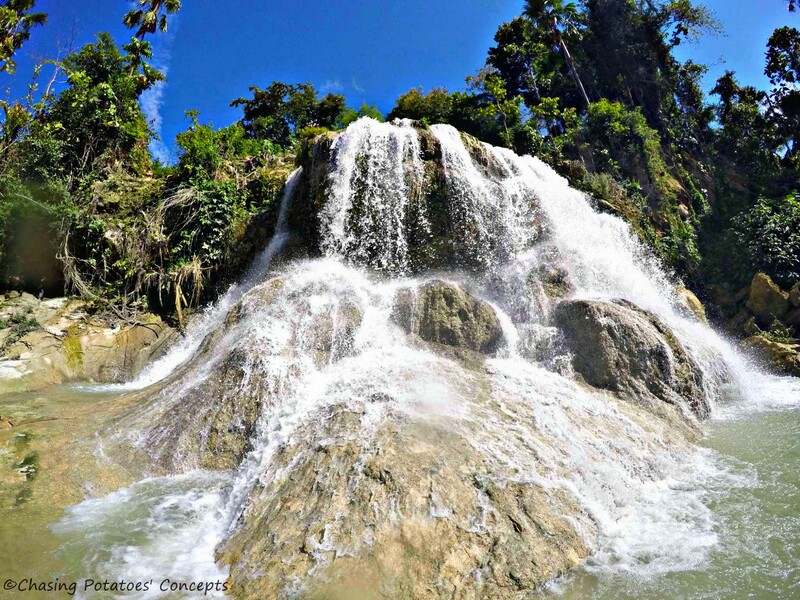 As of the present, getting down, taking a dip and swimming in Mangitngit Falls are no longer allowed due to some unfortunate events. 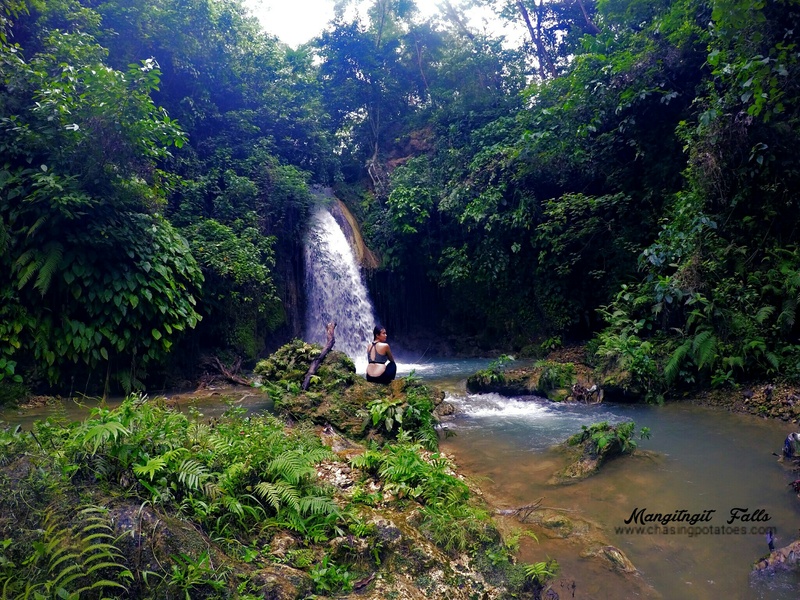 Basically you’ll end up just sightseeing the cascading waters of the falls and listening to the whispers of nature while contemplating about your existence here in this universe. #Charrr. 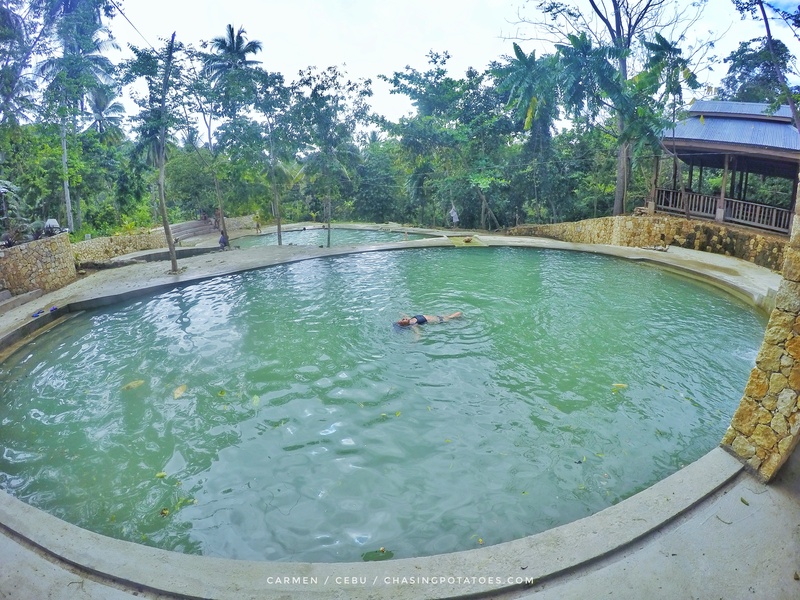 Our primary purpose at that time was just to visit Mangitngit Falls which is located in Lower Natimao-an, Carmen, Cebu, but to our surprise the place where the falls was located had a swimming pool which was being renovated and polished. We were lucky for we were allowed to swim in the pool without paying any fee because the beautification of the pool was still on-going. 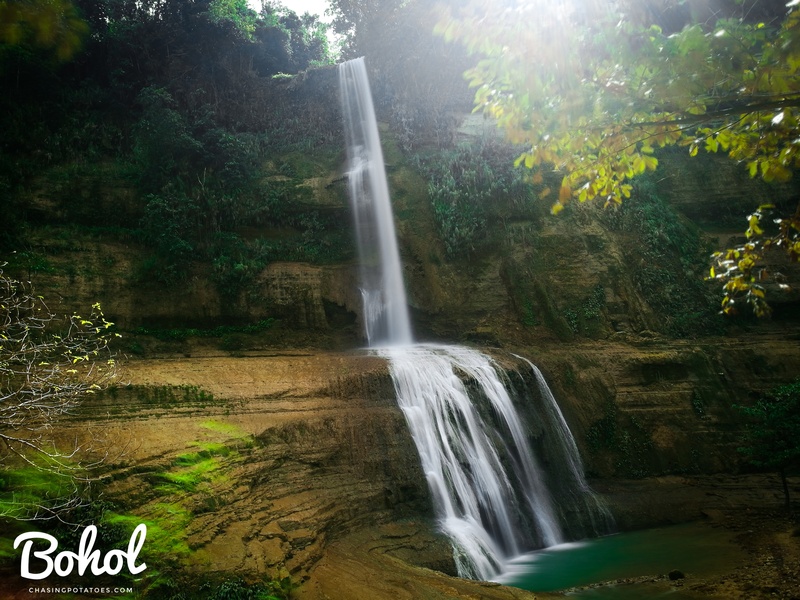 The water of the pool comes from the falls or spring making it a flowing water kind of pool. So the water here is clean, fresh and not stagnant as it flows down to wherever it goes. 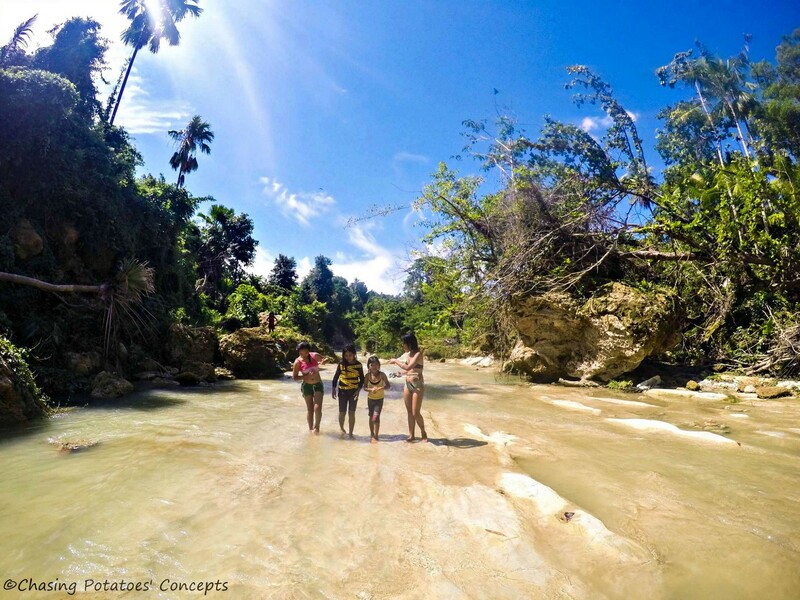 Since we did not take a dip in Mangingit Falls, we soaked ourselves in the refreshing water here in this swimming pool. Today this place is called Middle Earth Resort. The entrance fee is Php 50.00. After that Ate Jai and I wanted to explore more. We walked and explored around and saw this mini waterfall with a mini catch basin. Sadly we saw some trashes, remnants of locals who do their laundry and who take a bath here leaving the wrappers of detergents, shampoos, soap and the like scattered everywhere. I hope locals could see that scattered trash can destroy the beauty of a place. Without trash, the place is definitely a gem. Here’s a picture of Ate Jai, drenching herself in the cold spring. At her right is a local kid who guided us to this place. 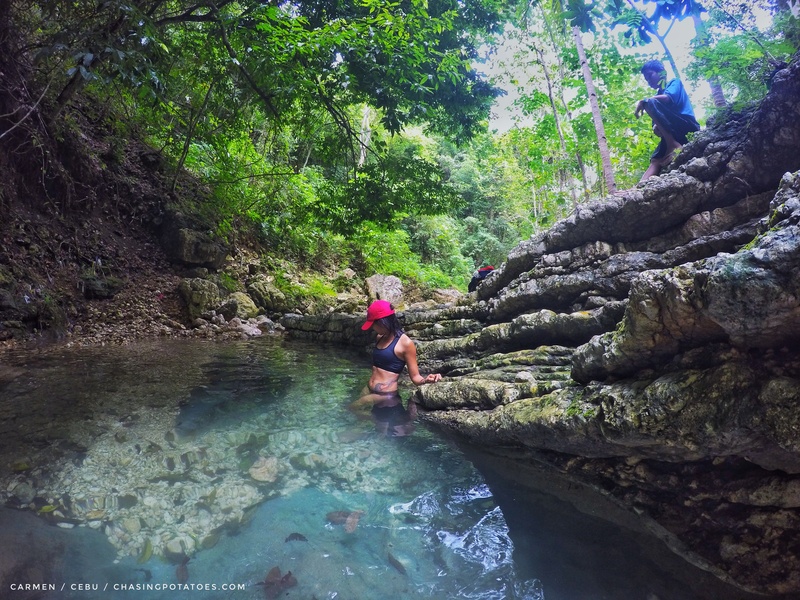 After taking a dip in the cold spring, we continued exploring with the help of locals who acted as guides. And we continued rambling wherever there was a trail that would somehow lead us to something extraordinarily beautiful. Tip No. 5 Exploring is fun. But always be cautious. Be in your best behaviour.. Greet and befriend the locals and show respect to them. Never litter. Always be reminded of the “Leave No Trace Policy”. Tip No. 6 There is thrill in discovering new places but let’s have a sense of responsibility in taking good care of our natural treasures for the next generation. So hike responsibly. 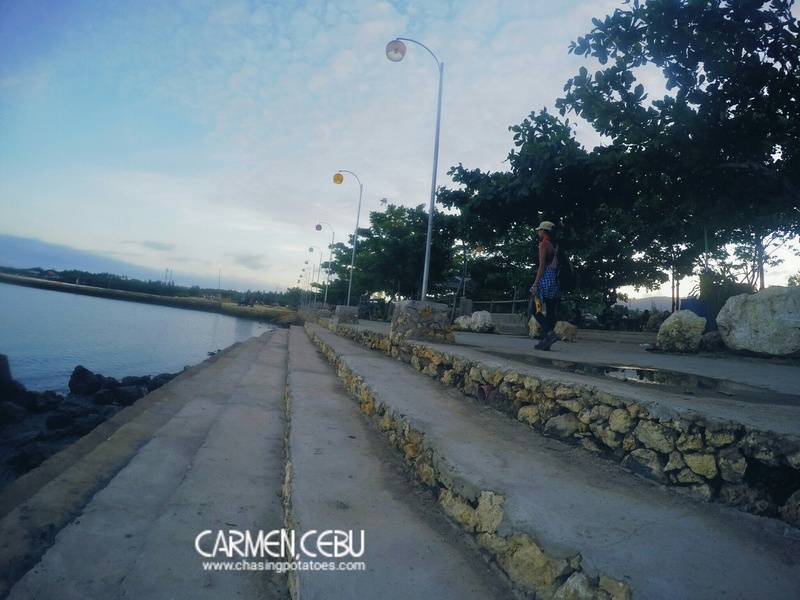 And finally our hike led us to Carmen Plaza. Basically what we were doing here was killing the time and waiting for the sun to splash its beautiful hues as it started to set and kiss the horizon. 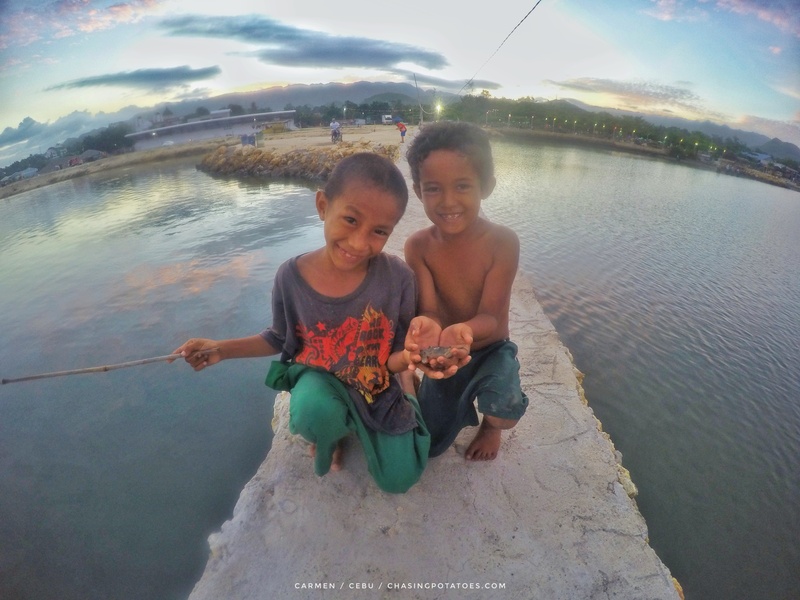 Local kids showing off their catch. This kid patiently waiting for the crab to eat the bait. That’s it. That happened a year ago. 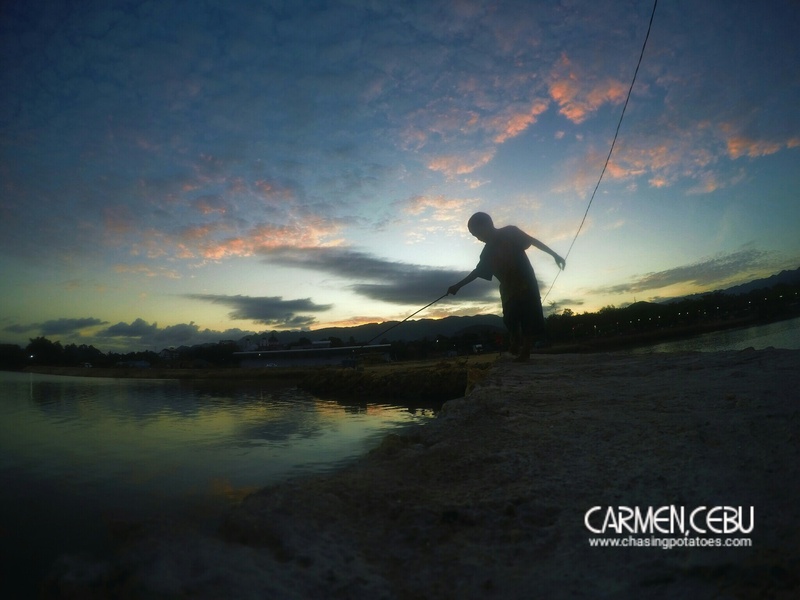 Time flies so fast that now is the only time I made a blog about Carmen. Hahaha! I want to visit the place again to check what changes have taken place. I hope its beauty has remained. I‘ve been hiking for about a year now, but I haven’t tried camping. And guess what? Just recently heavens heard my desire. 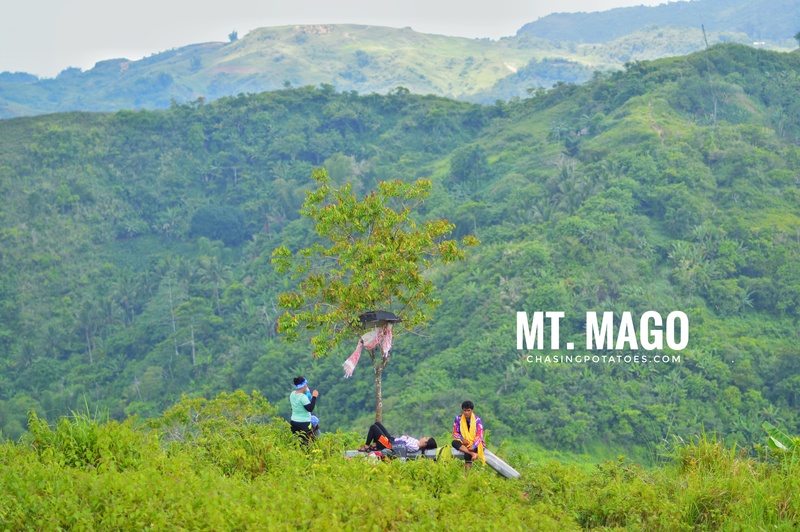 Finally I was able to camp on a highland where three towns meet,specifically Carmen, Tuburan and Danao or in short in Mt. Mago. With the company of old and new found friends, we set off to this journey, even though the weather wasn’t on our side. 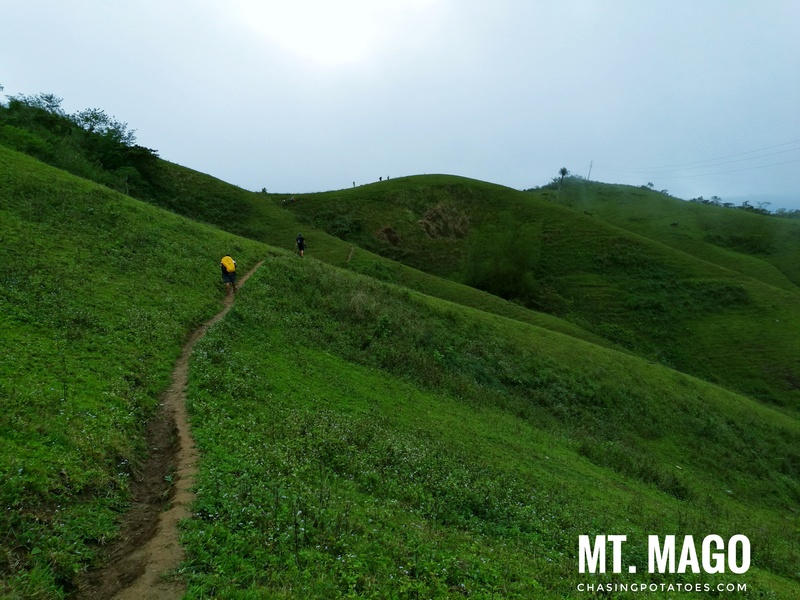 The gloomy sky crafted dark clouds which summoned drizzling raindrops; the temperature started to get lower, thick fog almost blanketed the scenery, and yet we were still on our feet braving the ascent toward the campsite. At 5:30pm we reached the campsite and then pitched our tents. In spite of the uncooperative weather, we saw a tinge of blazing light in a dusky sky. I was in bliss for my day was complete for I saw my favorite part of the day — the sunset. After having prepared our food for dinner, heavy rains started to pour. I thought that we would be separated in different tents, but we stayed together in a big tent that sheltered us against this moody meteorologcal condition.Haha! We were bonded with stories and laughter inside the big tent. Friendships blossomed and strengthened, memories shared to be cherished. I guess this is what camping is all about. At exactly midnight, the rain stopped and I went out of the tent. The moon was visible in the sky. It gave off its light such that the vicinity could be seen. And as I looked at my right side, I saw a sea of clouds. What a delightful sight! One can rarely catch a scene like this in Cebu. That’s why I was lucky to catch it. Tip No. 7 Sea of Clouds is not a daily sight here in Mt. Mago. (So much depends on the weather). However, it can somehow flimsily appear during rainy days. 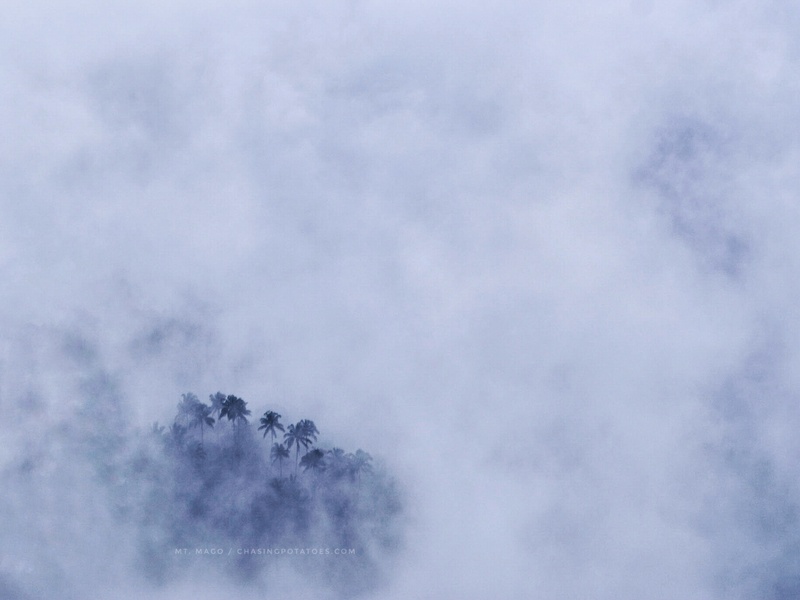 But it was just a fleeting moment, the mist gradually covered the scenery. I did not expect to see a sea of clouds. 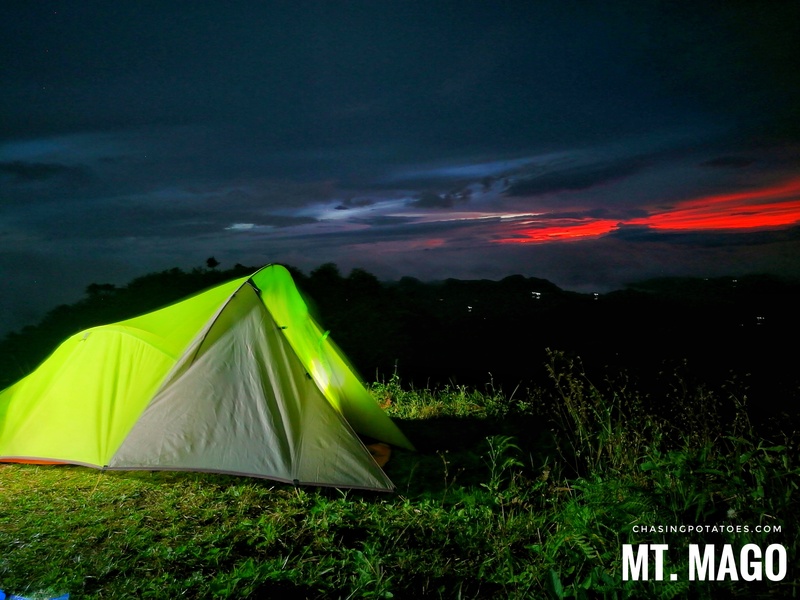 This was one of awesome happenings during our camping at Mt. Mago. 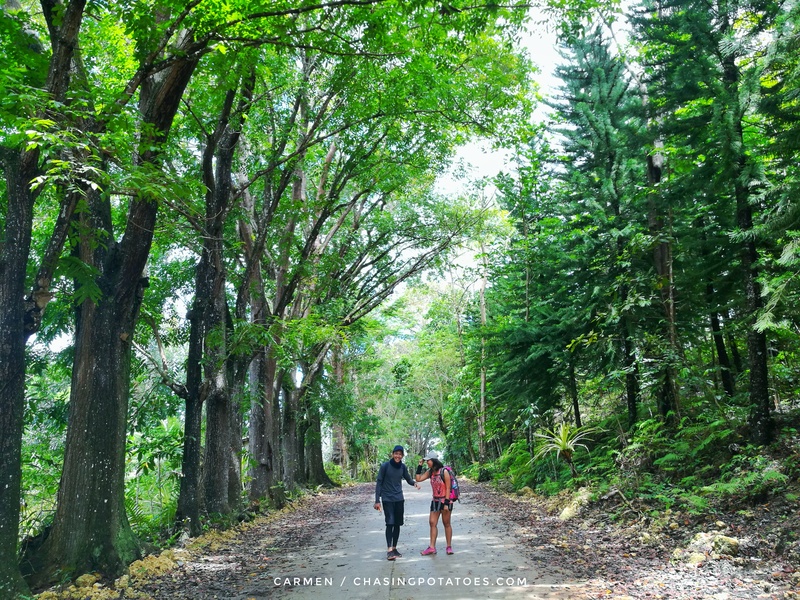 But before I end this blog, let me share the best part of the habal-habal ride which was viewing the trees along the road. I just couldn’t resist the desire to take some pics of this verdant and refreshing view. This reminded me of the manmade forest of Bohol. Amazing, isn’t it? 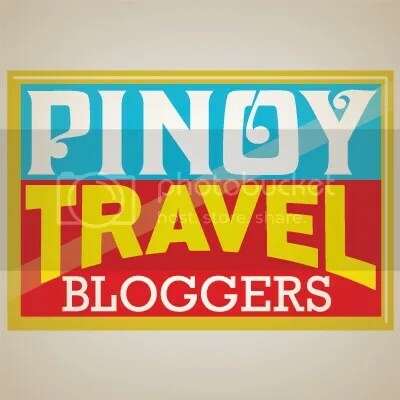 Php 500.00 – guide fee for the whole group. 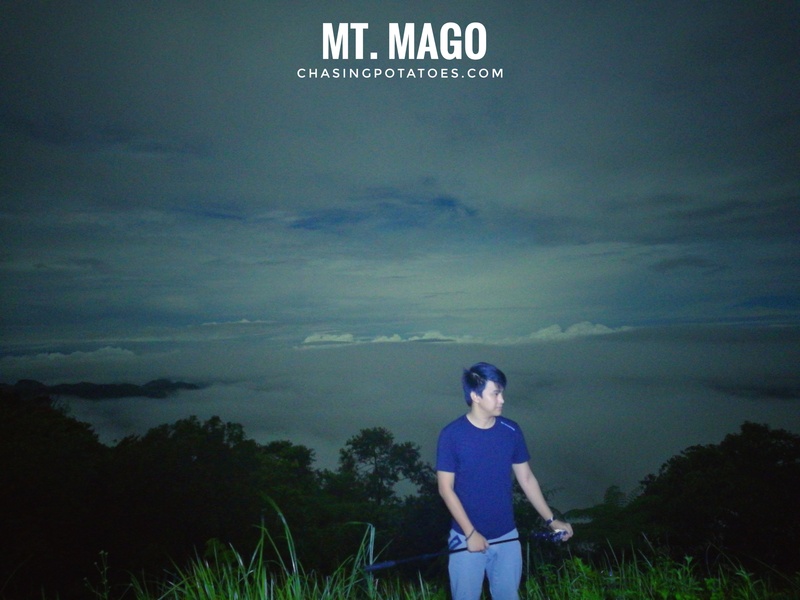 Here’s my vlog during our camping in Mt. Mago. Those naughty potatoes roll so fast that I could hardly catch up with them in CARMEN. I wonder what place will they be venturing next. So stay tuned for my next chasing potato adventure. How about you? 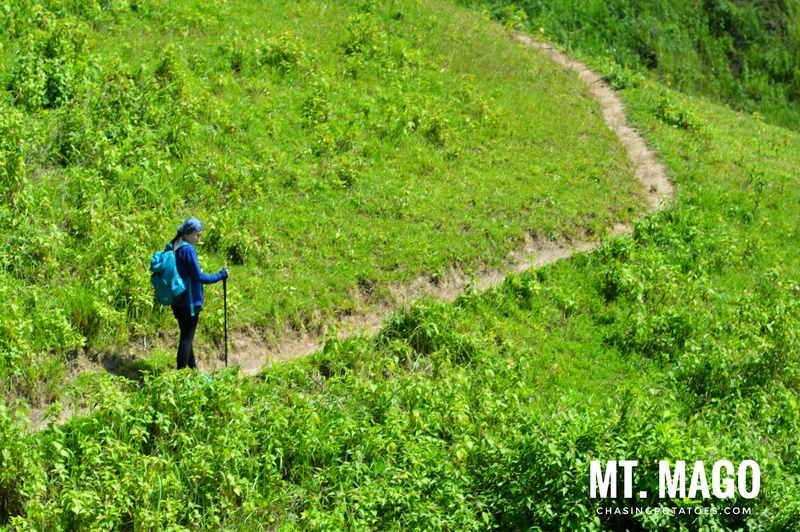 What was the easiest hike you’ve tried? Let me know your thoughts. Please connect thru my FB page and Instagram. Join me in my adventure and misadventure. Let’s chase those potatoes. OH YESSS! Thanks for visiting. Hii, ng plan mi mg Mt. Mago next month pro mgdala rami og van. Safe ra bah ang van e bilin sa barangay hall? Thanks. Why man mglisod ang van? Tungason kaayo? Tungason pud then gamay ra na dalan ang cementado..pero mao na katong niadto mi… wa ko kabalo sa karon. Asa mo dapit sa Carmen nanaog?? 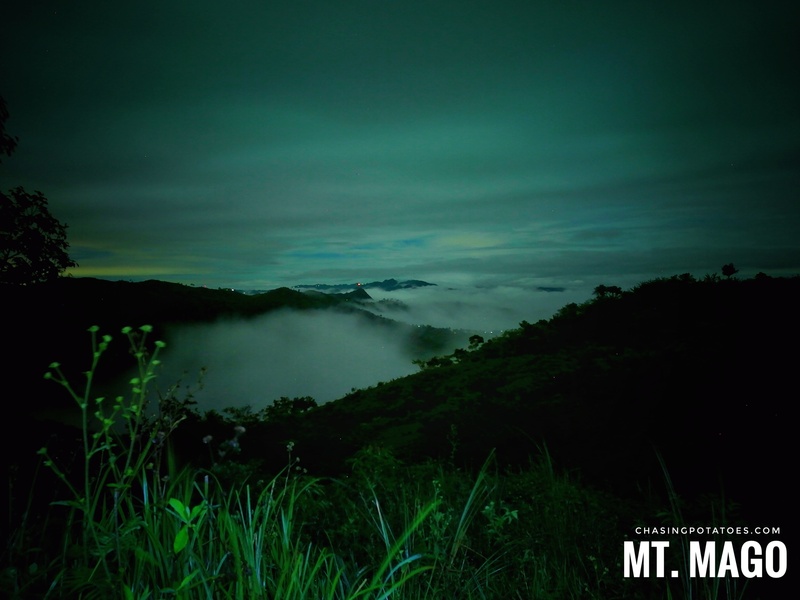 Is Mt. Mago okay for beginners? 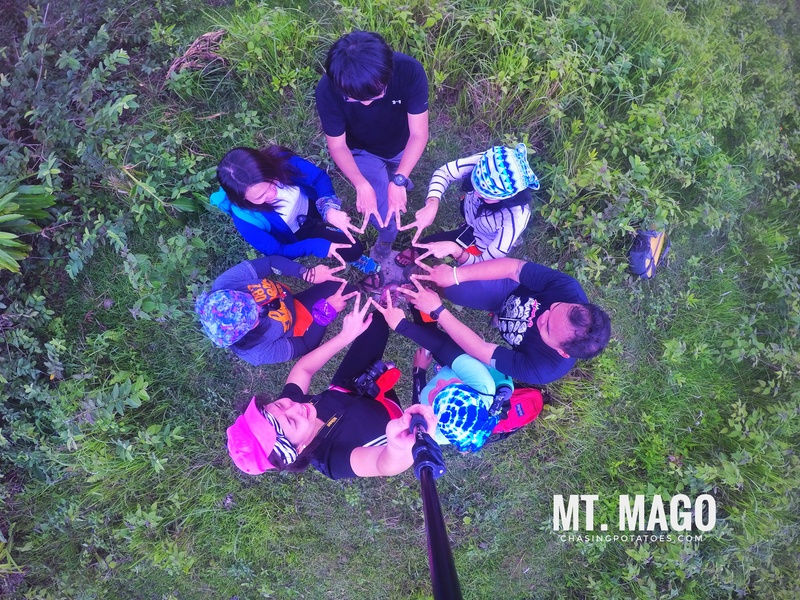 Coz me and my friends have been planning to climb the mountain sooner. Thanks! Damn! 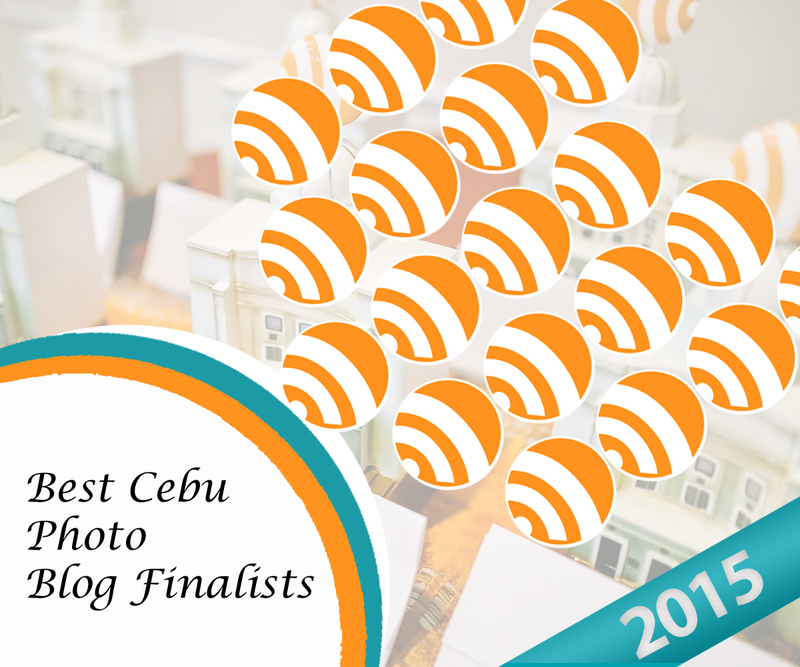 You’re an amazing blogger and a fantastic person, too. Your photography is stunning. Makes me almost feel like I am there. I haven’t traveled much but can’t wait to start once the kids get a little older. What an incredible hike!! You got my hiking bug itching like crazy. I’m gonna have to add all these place to my list. the greeeeens are oh sooooo calming! love love the photos and your informative words too! thank you for taking us with you! The colors in the photos are so vibrant. 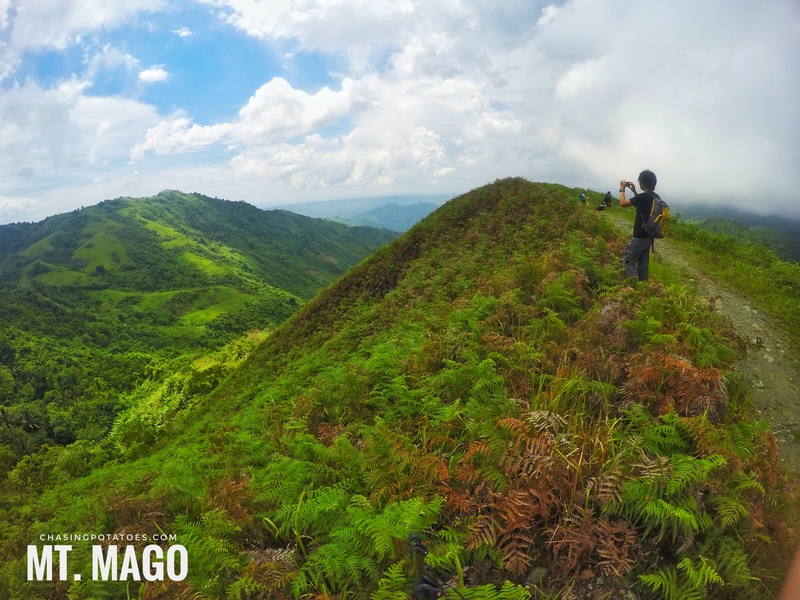 This is such a green and beautiful hiking destination. 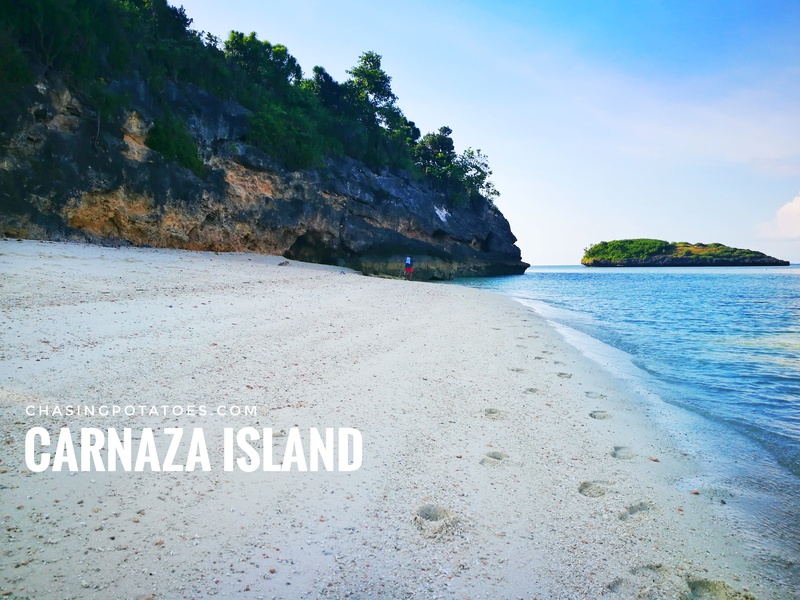 I am always looking for easy hiking destinations. 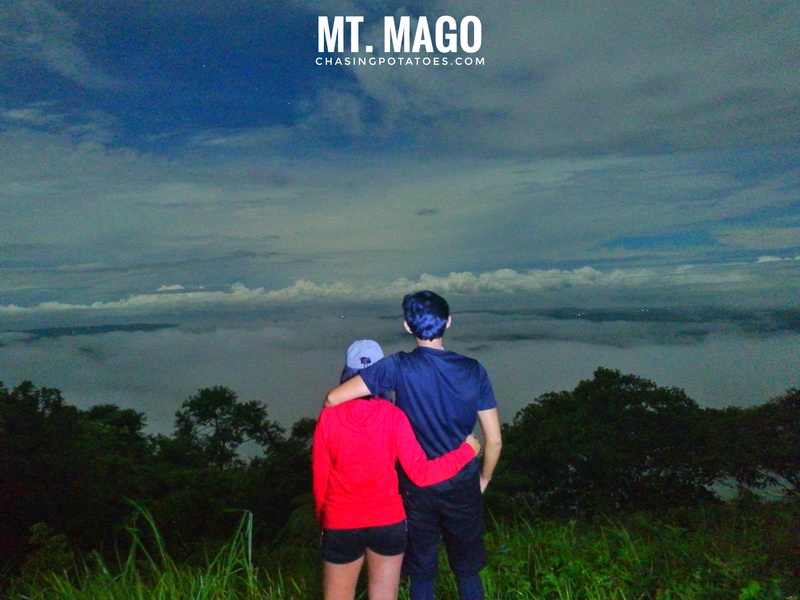 I will add mt mago to my bucket list. Thanks for sharing this great insight with me. A lot of great info here! 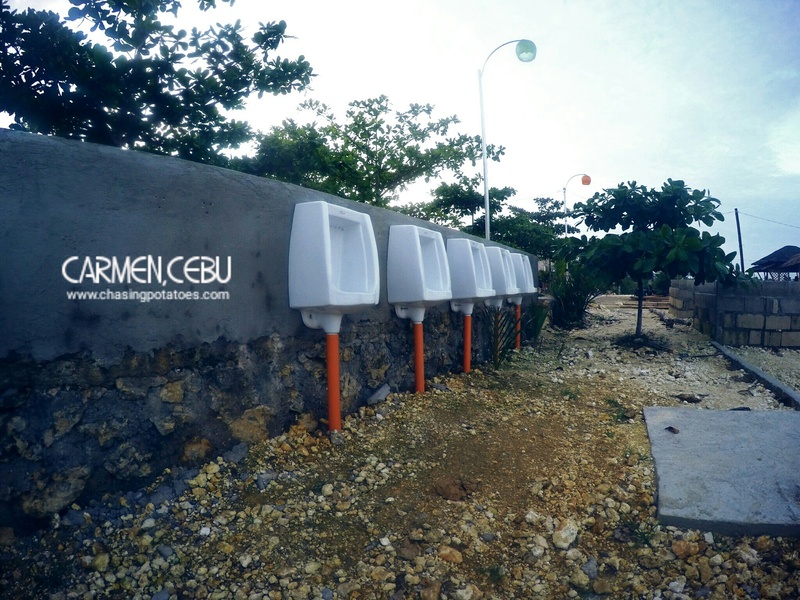 If I’m able to go back to Cebu, I’ll definitely try this out too.